Looking for a stylish, luxurious hotel to stay in near Dublin? Then look no further, the Beacon Hotel is the perfect place for you. HenorStag.com had the pleasure of staying in the 4-Star Boutique hotel located in the nearby suburb of Sandyford, and we absolutely loved it. Let me tell you, we were not disappointed. The hotel is approximately 20 minutes from the City itself, but not to worry it can be easily accessed by both car and tram. For those who are driving simply follow the M50 and after a short 5 minute drive off exit 13 you will spot the spacious glass windows and sandstone walls of the Beacon Hotel. Alternatively, the hotel is less than a 10 minute walk from the Green Luas line, which will have you into the city in no time. This chic hotel is located in the bustling Sandyford Industrial Estate and right beside the Beacon Hospital. In fact, the Hotel and Hospital share the same underground car park which is free for those spending the night at the hotel. As a little tip make sure that you follow the signs clearly in the carpark and hold on to your ticket until you check out to be able to avail of the free parking. Once we stepped into the lifts from the carpark up to the hotel reception, we were indulged in the first taste of the Beacon Hotel. The padded walls and dim lit Victorian style lights was just the beginning of the flavoursome contemporary decor that was to come. Arriving in the reception area, you are greeted with a stylish blue and golden decor, which boasts everything you would want from a boutique hotel. An eye catching oversized bed dominates the centre of the room, which doubles as seating for those who want to enjoy a cocktail whilst watching the guests come and go. The reception area has lots of luxurious seating, a huge mirror for those hen party selfies and not to mention the stunning chandeliers and modern artwork. The art behind the reception desk being my favourite, check it out in the picture below. It was here that we got the first experience of the first class service the staff at the Beacon have to offer. The receptionist checked us in with ease and made us feel right at home with her friendly and comfortable manner. We decided to reserve our table for dinner in the award winning My Thai Restaurant upon arrival, as this was recommended by the receptionist. The restaurant is very busy during the weekends, therefore booking is highly recommended especially for larger groups. If this isn't a sign that you're in for a delicious treat I don't know what is! The Beacon Hotel boasts 88 stylish, spacious bedrooms ranging from Queen and Deluxe to Executive suite. We were lucky enough to be staying in a chic Deluxe Room on the second floor, with a stunning view overlooking Dublin. The room was effortlessly modern with a white decor and a pop of colour above the bed, complimenting the luxurious king size bed that was perfect for a cosy night’s sleep. The room was ideal for a romantic getaway as a couple or for a night away with the girls before your big day. With ample room for getting ready, a desk with a rotating makeup mirror and a large full length mirror you will be looking good from all angles! However, the bathroom was the jewel in the crown for me. The lavish bathroom with a full-length glass door, had the most incredible bath that featured a built in rainfall shower. It had a fantastic mirror for getting your glam on, with fluffy embroidered towels and plenty of goodies from one of my favourite brands ‘The White Company’, their hand cream is to die for! Needless to say I had a relaxing soak before getting ready to head for dinner. For anyone looking for a restaurant and bar with an energetic atmosphere, this is the place for you. The in-house DJ set the tone for the night whilst we ordered some cocktails from the Crystal Bar. We were spoilt for choice from the extensive drink list that include both cocktails and mocktails as well as draught beer, gin and prosecco but to name a few. Being a gin lover, I opted for the Beacon Bramble, a delicious fruity cocktail on crushed ice. It was so delicious, that I had to try another old faithful, Pornstar Martini, I would most definitely recommend. If you love classic cocktails with a twist, you’re in for a real treat! Not to mention, the award winning My Thai Restaurant offers an impressive menu of Asian Pacific dishes to tickle your taste buds. The open kitchen along with the oriental interior design creates the perfect ambiance for a relaxing dinner date for two or a tasty meal with your fellow hens. Whatever your reason for staying be it as a lively hen party or a night away with your better half, The Beacon Hotel has it all. The staff offered excellent service and were more than happy to help with any request. Not to forget the scrumptious breakfast that catered for all, including vegetarians and coeliacs to set you up for the day. The welcoming atmosphere along side the luxurious modern rooms and exquisite dining means we will most definitely be back. 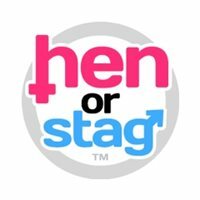 Be sure to check out their latest offers on HenorStag.com.